Dr. Fishburn has been a physician at Intermountain Eye Centers for 18 years. He is a comprehensive ophthalmologist with sub-specialty training in medical and surgical glaucoma care. In 1987, he obtained an undergraduate degree at Montana State University in biomedical sciences and chemistry. He later attended the University of Nevada School of Medicine and earned his medical degree in 1991. His internships were in ophthalmic pathology and research at the University of Utah and rotational medicine at the University of Tennessee. He finished his ophthalmology residency at the University of Tennessee/Willie D. Miller Eye Center in Chattanooga. His residency interests in glaucoma inspired him to pursue fellowship training in medical and surgical glaucoma, which was finished in 1997 at the University of Oklahoma Health Sciences Center and Dean A. McGee Eye Institute. Dr. Fishburn is board certified in ophthalmology. He has clinical interests in research, for which he has performed numerous pharmaceutically sponsored clinical studies in a wide range of ophthalmic areas. 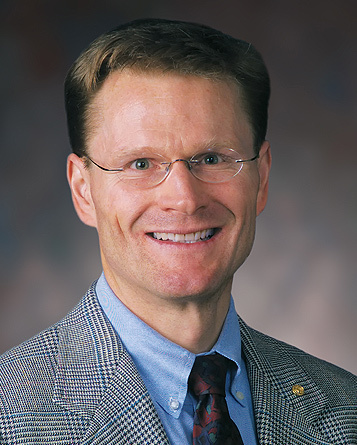 He has served as president of the Idaho Ophthalmology Society and is active in the American Academy of Ophthalmology, American Medical Association, American Glaucoma Society, Association of Research in Vision and Ophthalmology and Ada County Medical Society. He is a fellow of the American College of Surgeons and a diplomat of the American Board of Medical Examiners. Dr. Fishburn and his wife, Leslie, have three wonderful boys. Dr. Fishburn has been a world-class athlete in kayaking and currently runs competitively as a member of Boise’s premiere running club, Greater Boise. He also enjoys fishing, cooking, hiking, biking, alpine and Nordic skiing and playing piano. He currently sings first tenor for the Boise State University Singers.